Two high school boys grapple with their own humanity in a world where people are serviced by androids distinguished from their masters only by the halo-like rings above their heads. 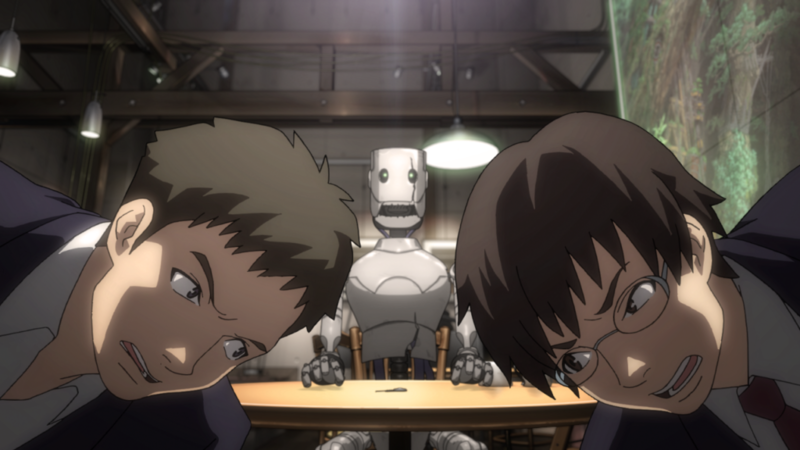 Public mores, enforced by the shadowy Robot Ethics Committee, dictate that androids be treated like appliances, and those who empathize with their robots are branded as “android-holics.” Rikuo and his childhood pal Masaki find their assumptions about androids radically challenged when they come across Time of Eve, a cafe where androids and people are treated as equals. Liberated from the strictures of the Ethics Committee, Masaki and Rikuo must confront old wounds of betrayal and grief and are faced with decisions that put their friendship and families on the line. This event is being organized in cooperation with Japan Foundation and the Embassy of Japan in Estonia.